I did not feel pressurised when purchasing the door. The fitter really knew what he was doing and he did a very good job. I am very pleased with the quality of the door. Friendly and helpful service on the telephone and first class installation done all as agreed. Kitchen door, french doors to hallway plus dining room window and wall removed and replaced by patio doors. All excellent products. The doors have transformed the whole house. The quality and speed of installation was amazing and was carried out calmly without any appearance of rushing, by Matt, a true professional. Thanks a million, Frank and Catherine Brown. Happy with patio door. Also happy with fitter Scott Eastwood. Good service with a friendly team. Like the transparency off all prices being on the website. Did take a little while to get fitting organised but I live some distance from the nearest fitter so not a big deal. Fitter was friendly, tidy and showed attention to detail. Very pleased with my new door. Two operatives could not have been more polite or helpful. We had a similar experience with them before and were totally impressed with their friendliness, professionalism and care. They were the reason we made our first purchase and why we subsequently went back to Value Doors. From discussing my requirements and placing my order, all your sales team were so helpful. Everything arrived and fitted as planned. Dan was very helpful and worked nonstop along with Neil to fit our new patio and front doors. Dan is a credit to your Company. Would happily recommend Value Doors. We were very very impressed with the work they did, no hassle at all and very clean workers. Would highly recommend them. Lovely blokes (Luke and Jamie I think). Very good job done, shame I won't benefit as I've sold my house. Great value for money. Very quick and efficient. Very happy with the service provided. Would happily recommend to family/friends. Great friendly service, from the initial call to measuring up and fitting. Everything went as expected. Fitters were excellent, friendly and cleaned up after. Doors are fantastic as well, despite having a slightly leaning wall! Extremely well fitted making sure we were happy with what they were doing and taking away the old ones. Would highly recommend. Quality of install was outstanding. Glen went the extra mile to make sure it was 100%. He was also a very polite person. Impressed from start to finish. Quality, workmanship and service are more significant than price alone, although the overall price seemed very competitive. The friendly and professional approach of the fitters, Kash and Arj, filled me with confidence from the initial survey, right through to the completion of the job and the end result is an absolute delight! Neil & Tom worked very hard to get the install done in the rain we are very happy with the work done and the whole process from start to finish, well done boys! Yet again Dan was an excellent advertisement for Value Doors - friendly and efficient. Alan and Les were as superb as always, arrived as agreed, installed without any hassle and delighted with the quality of the door. Thanks Alan, really appreciate all your hard work. Your guys arrived on time and were very organised in their approach to the job to be done and the finished job was very pleasing. Thank you and your workmen for a job well done. Great quality door, well fitted. Dan is very helpful with great communication arranging the fitting. Would definitely use again. Nice item, fast service. Thank you. Pauls installation was prompt, neat and well explained. Very pleased with our new doors. Very competative price and fitting went well. Excellent service, very professional and friendly. Arrived promptly and did an excellent job, thank you. Would certainly use again if further windows required. Working in the service industry myself I always expect a certain level of customer service. Overall it has been a very pleasant experience from the time John came to do a site visit right through to signing the cheque! 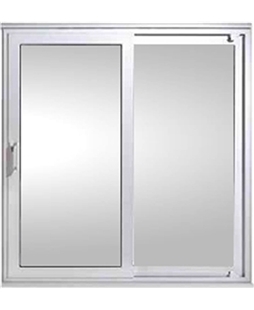 I feel assured that if I have any issues that these will be addressed in a timely manner and I will be more than happy to recommend Value Doors to friends and family in the future. Thank you for your excellent customer service. Great product and fantastic delivery/ installation. Quality end result. Very happy! Thank you. Fantastic service, very polite & professional. Would use again. Looks very good. We are pleased. Paul Sloan is an excellent worker. Very pleased with the new patio doors and bedroom window, Ray and his son worked very hard to complete two large and difficult fittings in the day. This is the third time I have used Value Doors and have ordered a window to be done next. Very good company, would recommend. It was very well done job finished on time. It has been a pleasure from start to finish. First class service. And the installer Dan Armitage, a real Tradesman nothing was bother for him a walking advert for your company. Top man. I am very happy with my new doors the the fitters Nicky and Ray were very friendly and done a excellent job. Looking forward for them to fit my new windows. Happy with the quality of the patio doors fitted. The fitter was himself very thorough and made sure all was well with the job before leaving, good level of service for installation, would recommend. Very happy, the chap who came was professional and charming. His assistant also was very good. I would recomend this company without hessitation. Friendly, reliable service, very pleased with the end result and would recommend. Installer friendly, and did a good job. Also constantly tidied up around his work area and left the place spotless. Very pleased with quality of doors excellent installer would have no hesitation in recommending to friends. Very good value for money and excellent service. May have some further work. I am so happy with both my new doors, Glenn was efficient, respectful and pleasant and his work was excellent. I would recommend to anyone who is looking for new doors, it has made such a difference to the house, thank you! Excellent job, Rob was very professional, we're very pleased with the product and finish. Ray and Nicky were excellent. They arrived on time, were very thorough and polite and did an excellent job. Glenn called initially to do a site survey and arrange fitting date. He was constantly available for any questions and was most polite and prompt always being there as promised. On the day, everything went as Glenn said it would and we were very pleased with the product and his service. On a couple of occasions I had to contact head office and Steve and all of the staff I dealt with could not have been more helpful. Big thanks to everyone at Value Doors for your service and customer commitment. Great price for the doors and overall service. I wouldn't hesitate to use Value Doors again. Great product, Mark and the product surpassed all my expectations. Excellent service, I am very pleased with the finished work, I will tell my friends to come and see them and they will make a huge difference this Winter. Your fitters were exceptional, nothing was a problem for them. As my wife and myself are pensioners and saw these patio doors as a big deal, your fitters put us at ease from start to finish. Work done was very good. Comments:	The above answers cover all we would say. Two extremely nice fitters. Good value, excellent product. The fitter was friendly and very professional. Would recommend to anyone. Fitter arrived on time, was very polite and knew his stuff. Done a very good job, definitely use Martin again. From initial contact to end result, Value Doors did as promised. Our installer, Richard, had to overcome a few problems with access to our property but did so without any fuss or bother. Once the doors were installed and the old frames and glass taken away, the whole area inside and out was left clean. We are delighted with the doors which are robust and smooth to operate - a thoroughly good job from start to finish. 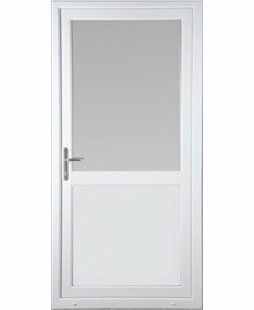 We won't hesitate to use Value Doors again and will recommend on price and performance to friends. We are very pleased with the installation and Richard, who did the work, was a very pleasant young man and he was very polite to us as well. Thank you. My experience with your company was very good and the work done by Tom the installer was very professional. I am very pleased with the doors, thank you. It's very beautiful, thank you so much. The service you gave is excellent. The fitters arrived on time and were very polite. I would recommend Value Doors to all my friends and family. Thanks. I will certainly come back if I require more doors. Value for money and customer service. Fantastic service, would be using again; thanks. Bernard was very friendly, knowledgeable and helpful. An asset to the company. Give the man a pay rise and he'll earn it back for you many times over. Fast, friendly service. Will use Value Doors again and would definitely recommend. Used before - impressed with the quality of workmanship. Excellent service. Polite, punctual, efficient service with great value for money. The two men who came to fit the doors were friendly, polite and hard working. We were very happy with the service provided. Glenn, who did the work for me, was friendly, clean and polite at all times. He turned up on time and worked until he had finished everything to his own very high standard. The service from him was excellent and I am very pleased with the patio doors indeed and would have no hesitation in recommending you/Glenn to others. Great service, great couple of lads, no hassle; just what you want. Thanks. Really happy with the quality of the door and installation. I had three doors fitted (2 high security and 1 sliding patio) which proved to be a most pleasant, no hassle and worry free experience from beginning to end. Glenn worked very hard, was very courteous, tidy and did a first rate job. The doors were good quality too and I am extremely happy with the result - would definitely recommend. THANK YOU! From searching the web, to the completion of this job I am very satisfied. The initial call to arrange a measurement, service was polite and helpful. All appointments were kept to time. 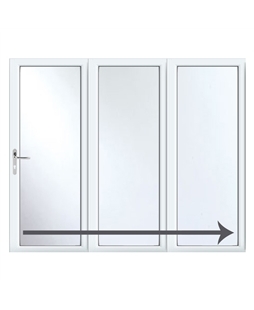 I think I chose Value Doors because the package on offer was clear and as precise as it could be pre measure, therefore giving the customer an honest idea of the price of the total fit. Thank you. We were extremely happy with the product and service. Glenn was polite, professional and a pleasure to encounter. Such a lovely man. Richard was fantastic worked quickly, tidied up all looks great. He is an asset to your team. Will certainly call again. Glenn was very professional, friendly, hard working and did a fantastic job. 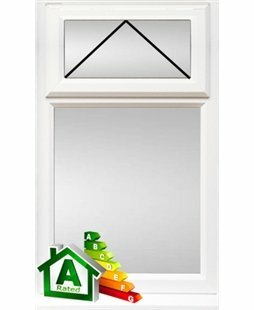 We have a quality product that is very well fitted and very well finished and would have Glenn back to do the next job. Thank you. Very happy with the door and the service was excellent. Martin was very friendly and did a very good job! I would thoroughly recommend both Value Doors and Martin! Young man called Matt who did a great job we are very pleased. Thank you Matt. Rodney was excellent and we are very happy with the product. Stuart did the job very good, lovely guy; thanks. Excellent service - very quick, good price and friendly, polite franchisee. Explained options well and left everything in good order. The fitters did a fantastic job and were very pleasant and professional - we would definitely use the company again and have already recommended you to family and friends! Very pleased with the doors.